Energy eff. Colonial overlooking the Ware River & Old Furnace Launch area for canoeing, kayaking & fishing. Recently updated with new porcelain plank floor in Kit,.LR and Baths, fresh paint & new Kitchen appliances. 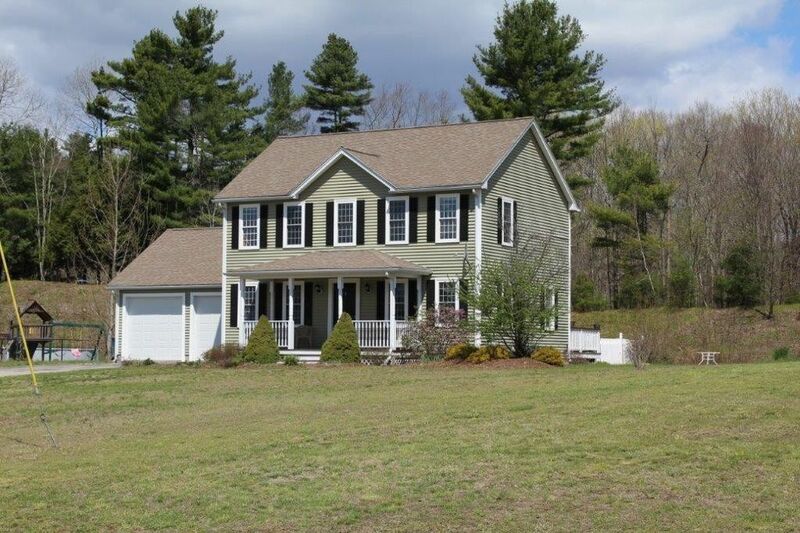 Great location to enjoy life in the small New England town of Hardwick yet still only 30 min. to Worcester & 40 min. to Springfield. Home sets back nicely from the road with a spacious front yard & large, level back yard/lawn. Southerly facing front farmer's porch is the perfect spot to enjoy morning coffee while looking out on the river valley. Home offers 4 bedrooms, 2 full baths, cherry flooring in foyer & dining area, front to back living room with a gas fireplace. The slider in living room leads to a back deck, above ground pool & patio. Attached 2 car garage, basement is nicely finished with tile & wood flooring, dry bar, tv & game area. 5 min. to elementary school, 10 min. to Quabbin Reg. High School, rail trail close by along with golf course & conservation area.